Until my midnight keyboarding, I’d been a teacher, librarian, newspaper reporter, administrative assistant to two non-profits, community volunteer, and mother of four in seven different states. Now I can call myself a writer in Maine. There’s nothing I like better than writing about people who make mistakes, but don’t let the mistakes make them. I’m all about the redemptive power of love—and a good night’s sleep. Maggie Robinson is a former teacher, library clerk, and mother of four who woke up in the middle of the night, absolutely compelled to create the perfect man and use as many adjectives and adverbs as possible doing so. A transplanted New Yorker, she lives with her not-quite perfect husband in Maine, where the cold winters are ideal for staying inside and writing historical mysteries and romances. A two-time Romantic Times Reviewers’ Choice nominee, her books have been translated into French, German, Portuguese, Turkish, Russian, Japanese, Thai, Dutch and Italian. 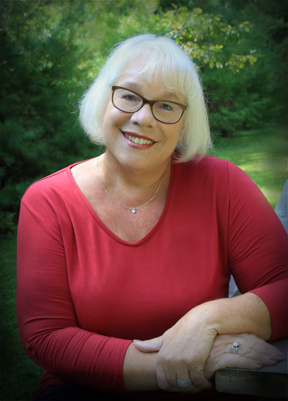 Maggie is a member of Sisters in Crime, the Romance Writers of America, and Maine Romance Writers.